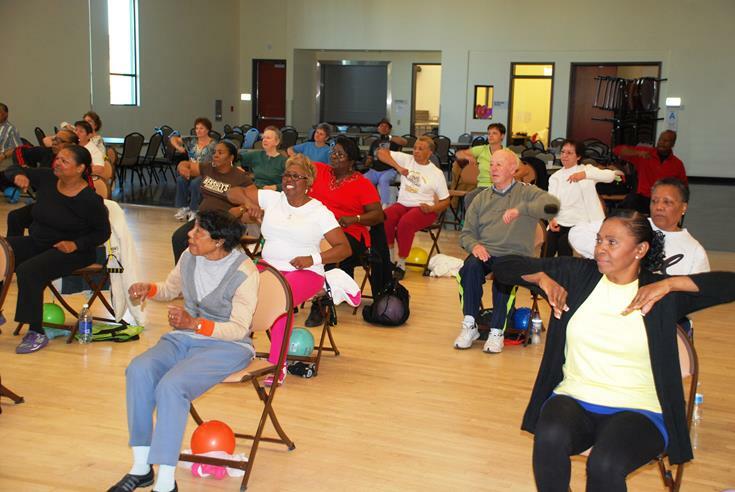 Exercise classes are just some of the many activities going on at Legacy Commons for Active Seniors. PALMDALE – The City of Palmdale’s Legacy Commons for Active Seniors will host a flea market from 1 to 3 p.m. this Thursday, Sept. 5 in the Legacy Commons auditorium. Legacy Commons for Active Seniors, Palmdale’s newest recreation facility, was designed especially for active adults aged 55+. Amenities include an auditorium with stage, three classrooms, billiards room, TV/social nook, Wi-Fi and outdoor patio in over 14,000 square feet. Lawn games include bocce, croquet, fling golf and horseshoes. Visitors are invited to pick up a detailed schedule of activities. Legacy Commons is also available for event rentals. Legacy Commons is located at 930 East Avenue Q-9, and is open Monday through Thursday, from 8 am to 4:30 pm and Friday’s from 8 am to 12 noon. For more information call Legacy Commons at 661-267-5904.